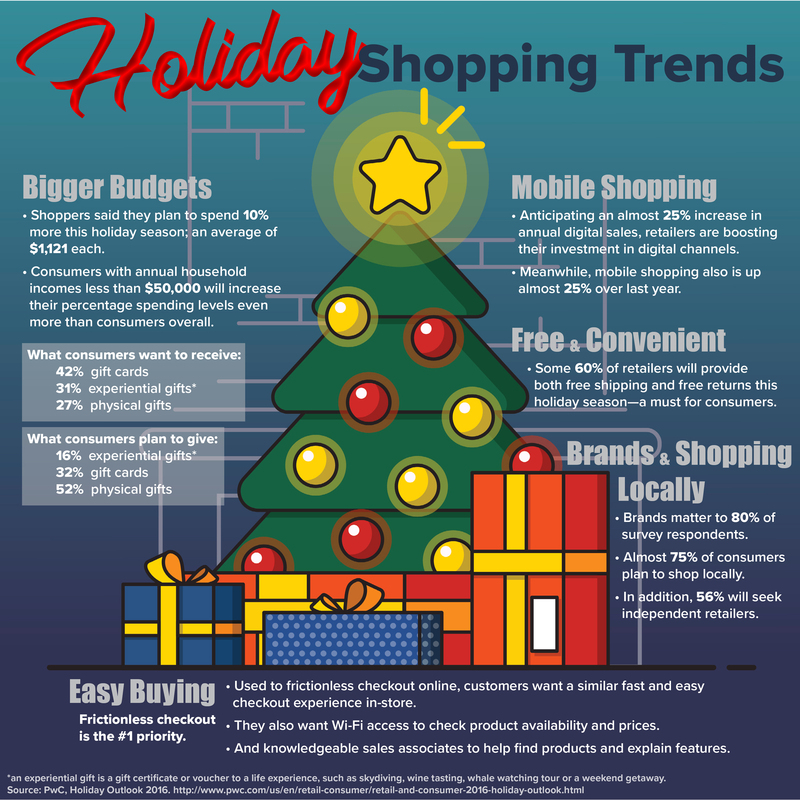 Holiday Shopping Trends | Infographic | First Financial Security, Inc.
Holiday Shopping Trends for 2016 Should Make Retailers Happy. This should be a jolly, holly holiday for America’s retailers, as consumers have larger budgets and an equal amount of confidence. Holiday shopping trends are always an interesting study. Based on the economy and consumer confidence, they change every year. We’re intrigued by how much our fellow consumers are spending. We want to know what they think is important, and how we fit into the big picture. This season, retailers should be jollier than they were in 2015. Holiday spending will be at an all time high since the Great Recession.1 People are spending more, $1,121 each on average. That’s a 10% increase over last season. People are giving physical gifts, gift cards, and experiential gifts.2 Oddly enough, they don’t necessarily align with what consumers would like to receive this holiday. Only 27% look forward to getting a physical gift while a whopping 52% plan on wrapping an actual present. It’s a gift card that 42% of consumers want, but just 32% plan to give one. While 31% prefer to receive an experiential gift, only 16% will actually give that type of present. There’s also a significant focus on shopping locally. 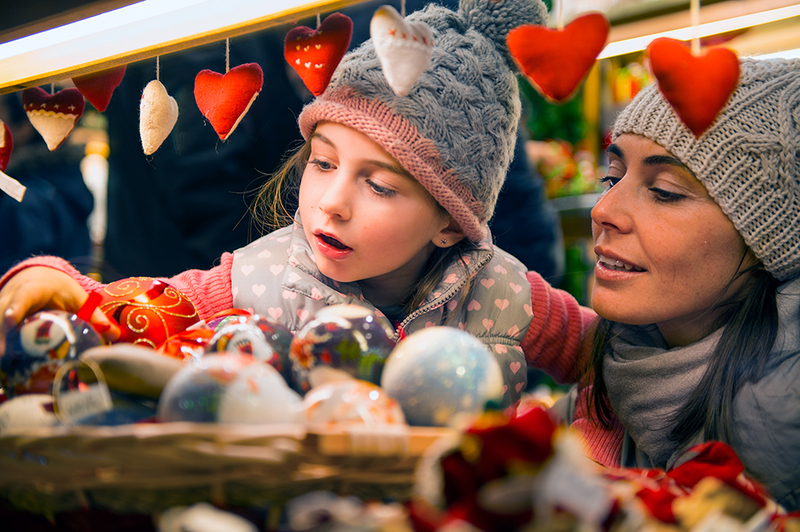 Nearly 75% of consumers plan to shop within their community this season. With 56% committed to independent retailers, many will not only skip the mall, but they’ll also shop small. Brand names carry a lot of weight this season, too. Whether it’s a local business or an established household name, loyalty and trust are big players this year. What’s the top priority for consumers in 2016? It’s an easy, quick, smooth, checkout. They also want fast and free Wi-Fi access to check product availability and prices. Once they narrow down their choices, they want available, informed sales associates to help explain features. Overall, this season’s shopping trends are positive. With more money to spend, consumers are committed to buying locally. It’s key for retailers to recognize shoppers need for a smooth buying experience. Consumers and retailers are ready to close 2016 on a high note, before heading into the New Year.